On the heels of last month's cancelation of Macworld's print magazine, IDG announced on Tuesday that the long running 2015 Macworld/iWorld conference, formerly known as the Macworld Expo, has also been canceled, marking the end of an era. Macworld/iWorld in 2013, its 29th year. In making the announcement, IDG World Expo characterized the annual Macworld show as being "on hiatus," but offered no details about any events beyond 2015. The Macworld/iWorld 2015 expo had originally been planned for March of next year. The lack of a Macworld show in 2015 will bring to an end a 30-year run for the event which was a staple for Apple developers and enthusiasts. "As Apple products and the related ecosystem have changed, so has the marketplace, and we are proud to have played a part in that evolution," Paul Kent of IDG said in a statement. "Literally thousands of companies and hundreds of products have come to market at Macworld, and countless professional relationships have been forged. We'd like to take this opportunity to thank the Apple community for allowing us to host these events and be a part of the incredible story that is the Apple market." Macworld once served as a platform for Apple to address fans and developers, and company co-founder Steve Jobs would take the stage to give updates and introduce new products. Unveiled at Macworld over the years were the iPhone, OS X, iTunes, the Safari browser, and the Mac mini. But Apple stopped attending the show in 2009. The Macworld Expo carried on, however, attempting to evolve and adapt. 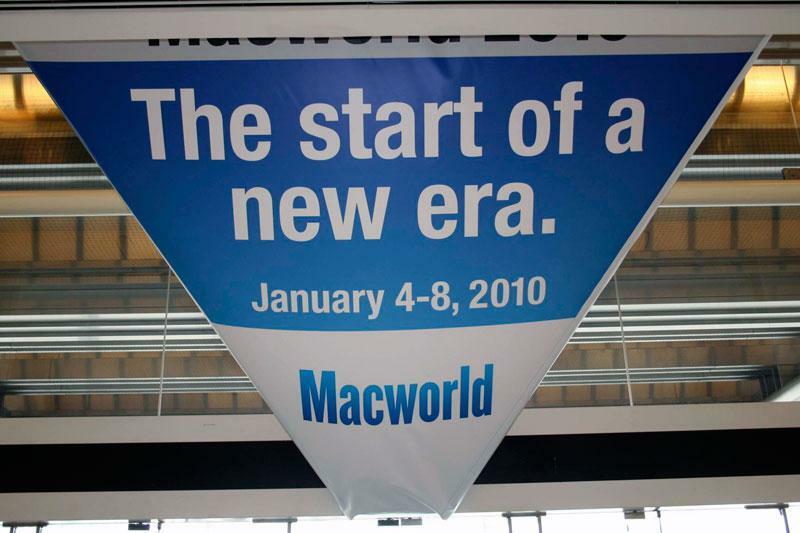 2010 was the first year Macworld was held without Apple's participation. Kent spoke with AppleInsider in early 2013 to talk about how the Macworld/iWorld show had changed over the years since Apple left, focusing more on "mobile lifestyle" rather than just the Mac. In the absence of Macworld, IDG will still hold its MacIT event focused on deploying Apple products in the enterprise. Details on that event are said to be released in the coming weeks. It was just a month ago that IDG announced that the long-running print edition of Macworld would come to an end and that most of its employees would be laid off. The magazine has since become a digital-only publication. The first issue of Macworld magazine was published on April 1, 1984 —the same day the first Apple Macintosh computer was released. The Macworld Expo began a year later, in 1985, in San Francisco.